Silver Spring, MD; November 27, 2018 – Featuring “the most robust, reliable selection of European, British, Canadian and Australian shows” (The New York Times), Acorn TV, North America’s largest streaming service specializing in British and international television, announces a deal with international distributor DRG to be the exclusive North and South American partner for new ITV drama Manhunt. 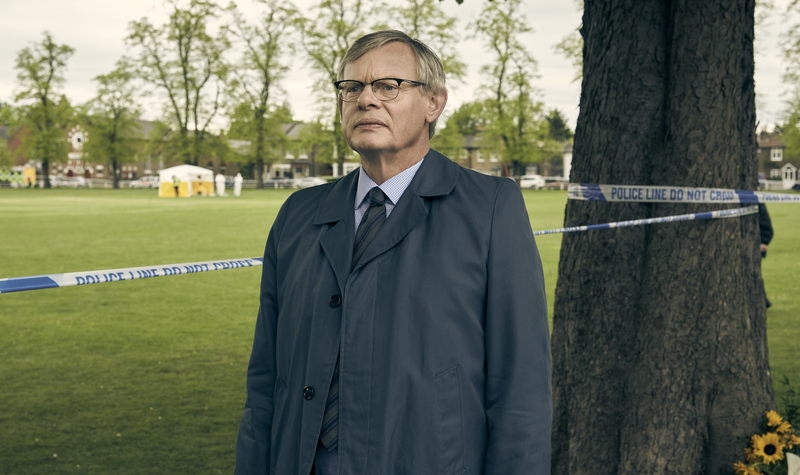 Based upon the memoirs of former London Metropolitan police detective DCI Colin Sutton, the three-part drama from Buffalo Pictures stars BAFTA- and SAG-award winning actor Martin Clunes (Doc Martin, Shakespeare in Love) as DCI Sutton who determinedly and tenaciously pursued serial killer Levi Bellfield. Acorn TV will exclusively premiere the series in North America in early 2019 as an Acorn TV Original. Also, part of the deal and premiering as an Acorn TV Original in 2019 is Martin Clunes’s newest travel documentary series, Islands of America. Lead Martin Clunes and producer Philippa Braithwaite (Doc Martin, Arthur & George) are scheduled to participate at the Television Critics Association in February 2019 to discuss Manhunt and Islands of America. Written by Ed Whitmore (Silent Witness, Strike Back) and directed by Marc Evans (Trauma, Safe House, Hinterland), Manhunt is the real-life story of how the murder of French National, Amelie Delagrange, on Twickenham Green in August 2004 was eventually linked to two other murders. Walking home following a night out with friends, 22 years old Amelie was savagely attacked and struck several times on the back of the head with a hammer. Hard working and instinctive, DCI Sutton was assigned to the case and dedicated himself to finding Amelie’s killer. With very little evidence, his painstaking approach and the diligence of his fellow officers gradually led to breakthroughs in the case and to suspected serial killer Levi Bellfield. Following his popular Islands of Australia and Islands of Britain series, Martin Clunes newest four-part travel documentary explores the Islands of America. Starting in in the frigid waters of Alaska, Martin will work his way south along the coast of Washington State and California, before crossing to Louisiana, Florida, and Georgia. Finally, his journey – by boat and plane – will steer him north up past Long Island, bringing him to the coast of New England. Along the way, he’ll ride with saltwater cowboys on Assateague; enter a hot dog eating contest on Coney Island; fish for giant halibut off the Alaskan coast; join a gospel choir with the isolated descendants of plantation slaves; he’ll shuck clams, dive with seals and sample life on an island which hasn’t had a shop since 1942. Called “Netflix for the Anglophile” by NPR, Acorn TV has quickly become one of the top streamers and is the greatest value in streaming at only $4.99 a month and is commercial free. Acorn TV curates the very best in international television and remains North America’s largest streaming service for international television. Acorn TV exclusively premieres several new international series and/or seasons every month from Great Britain, Australia, New Zealand, Ireland, Canada, and other European countries.